ACCORDING TO THE latest statistics, private schools still lead the way by some distance in the rates of students progressing to third-level education. Half of the country’s fee-paying schools recorded all of its pupils progressing to some form of third-level education in 2017, reports both the Irish Times and the Irish Independent. Pupils in public schools, meanwhile, are statistically less likely to go on to third-level, particularly in areas of economic disadvantage. 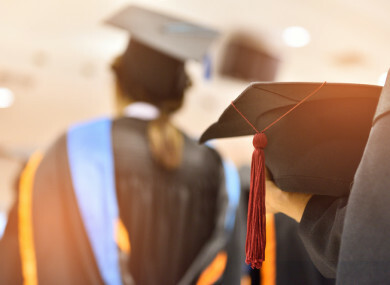 Rates of third-level participation across the country has increased sharply in recent decades, but there are other avenues available to those in pursuing a career. So, today we’re asking you: Do we put too much emphasis on third-level/going to college? Email “Poll: Do we put too much emphasis on third-level education/going to college?”. Feedback on “Poll: Do we put too much emphasis on third-level education/going to college?”.